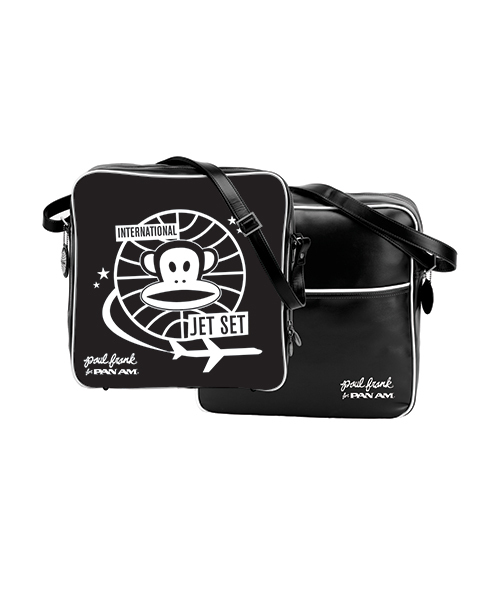 “Air traffic control to Julius…We have style in the bag.” The most experienced airline in the world Pan Am teams up with Uber hip Paul Frank brand to bring you the “Paul Frank for Pan Am” collection of travel accessories. The officially licensed Paul Frank Pan Am inspired artwork celebrates clean mid-century design and whimsy. The Julius Jet Set Defiance bag features Julius the in an air traffic control inspired graphic ready to call the shots.